Combine the basil, garlic, walnuts, parmesan, vinegar, and olive oil into a blender and blend generously on the lowest setting. Continue to cook on low heat. Stir slowly. Chop and/or grind pinenuts. Add them to the mixture. Continue stirring. Add grated Romano cheese. Continue cooking on low heat. Add grounded Grana Padano cheese. Slowly fold into the pesto. Stir moderately. Pesto sauce is almost ready. Allow it to continue to cook on low heat. Make sure that your walnuts and pinenuts are not hard. Stir moderately. As you continue, check your pasta. Focus on getting your actual pasta ready. Dinner is ready! Add the pasta to your plate. Add the pesto sauce on top. Finally, garnish with some grated parmesan cheese. How to make "Sarah's Vodka Tomato Sauce"
One of my favorite pastimes is definitely cooking. One of the things that I love and value most in life is creativity. But, not just any vision, a vision that works. Something that is very effective. When it comes to creating anything dealing with food, it is definitely in my forte. I have decided to share with you a simple recipe that is not only incredibly delicious, but an original recipe that I personally created...Sarah's Vodka Tomato Sauce. First and foremost, when it comes to making any kind of homemade tomato based sauce, you want to begin by blanching your tomatoes. You want to first boil water. The pan should not be huge, however; it should be at a size where you can fit 5 tomatoes into it. To make blanching easier, as this will allow you to remove the skin with minimal effort, cut the bottom of the tomato in a criss cross shape (an "x" shape). You want to boil the tomatoes for just one minute. Do not go longer, as you will ruin what you have started and therefore; will have to start over. As you continue, you want to remove the skin. Because you blanched your tomatoes and cut a criss cross shape (or an "x" shape) on the bottom, you can peel the skin off easy. Once you have accomplished this, you can continue chopping your tomatoes. Place your tomatoes in a bowl and set aside. You want to begin mincing your garlic. After you are done, you want to sautee garlic, as it is very strong and although you don't want to lose flavor, you will need to done it down. All you have to do is add 1 tablespoon of extra virgin olive oil to your pan followed by your garlic. This will be the same pan used for making the tomato sauce, so make sure that it is a good size. Good size does not mean ridiculously massive, but a good enough size to fit the result of 5 tomatoes and other ingredients. Saute on medium heat for about 10-15 minutes. Add the diced tomatoes that you set aside followed by 1 teaspoon of sea salt. Add 4 cups of water. Continue stirring until the tomatoes base are more of a thick liquid texture. To achieve this, cook for about 10 minutes on medium to high heat. Before adding all of the ingredients, you want to make sure that your basil is fresh and also minced. This ingredient (basil that is) is very important and brings this entire sauce together. If you don't add it, it just won't work. As you continue, you want to add the vodka, followed by the heavy cream, butter, parmesan, basil, red onion, oregano, and cynar. You also want to add 2 teaspoons of salt and of course 1 tablespoon of extra virgin olive oil. Cook for 40 minutes to 1 hour on medium to low heat. Congratulations! You just made Sarah's vodka tomato sauce. Enjoy! Today, Monday, May 21st is the start of National Vegetarian Week. Lacto-Ovo - Does NOT red meat, does NOT eat white meat. Does NOT eat fish or seafood. Does eat eggs and honey. Does consume dairy. Lacto - Does NOT eat red meat, does NOT eat white meat. Does NOT eat fish or seafood. Does NOT consume dairy products. Does eat eggs and honey. Ovo - Does NOT eat red meat, does NOT eat white meat. Does NOT eat fish or seafood. Does NOT eat eggs. Does eat honey. Does consume dairy. Vegan - Does NOT eat red meat, does NOT eat white meat. Does NOT eat fish or seafood. Does NOT eat eggs or honey. Does NOT consume dairy. Fruitarian - Does NOT eat red meat, does NOT eat white meat. Does NOT eat fish or seafood. Does NOT eat eggs or honey. Does NOT consume dairy. Does NOT eat vegetables. Raw Vegan - A vegan that does not consume anything that has been cooked. Jain - A vegetarian that does NOT eat red meat or white meat, as well as, fish or seafood. Despite being allowed to eat eggs and honey, but the Jain does NOT consume dairy. Certain veggies are also excluded like potatoes, garlic, onions, and carrots, etc. This vegetarian also follows a specific pattern of eating too. Buddhist - A vegan that does not only exclude the basics (meat, fish, dairy, eggs, or honey) it also excludes various vegetables from the allium family. Some of these vegetables include: garlic, onion, leeks, chives, shallots, etc. Macrobiotic - A vegetarian that emphasizes on substituting meat and fish for grains. Not exactly a vegan, but you can follow a vegan macrobiotic diet. As many of you already know, I am a lacto ovo vegetarian. I don't eat meat (whether red meat or white meat) and I do not eat fish. I do, however; consume dairy, eggs, and honey. 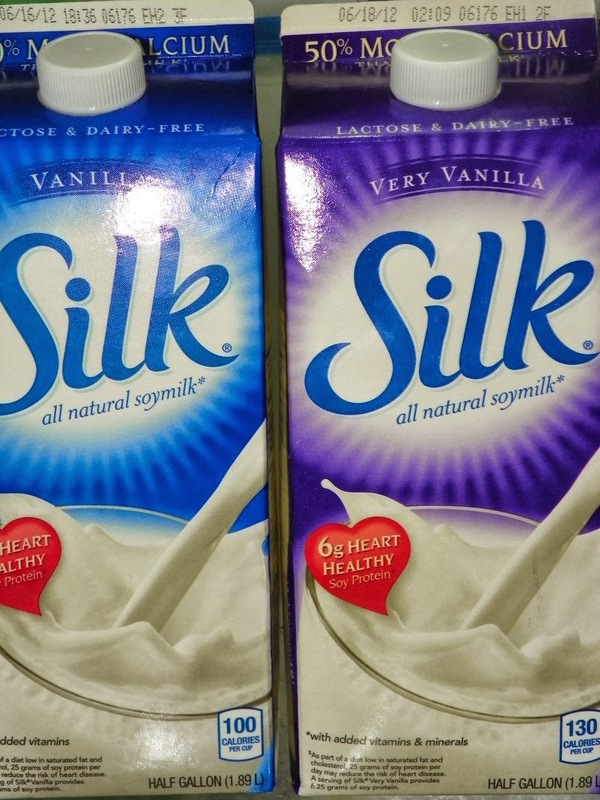 Lately, I have been eating vegan a lot and have stopped drinking dairy milk. Although I have stopped drinking dairy milk, I do love cheese (a weakness, of which I wish to give up eventually) and doogh (a Persian drink that consists of Yogurt). Becoming a vegetarian is hard mentally if you worry about what you can and cannot eat. It is also hard on those that think of what to substitute with meat. If you are a heavy meat eater and are you looking to go vegan instantly, forget it. It just isn't going to happen. Vegetarianism is a process and there are many types. I truly recommend that you start out as a semi-vegetarian because after all, you don't want to lay all of your eggs in one basket. I would highly recommend following a simple "Pesce Pollotarian" diet. If you are wondering what a "Pesce Pollotarian" is, it is a semi-vegetarian that basically does not eat red meat, but does eat white meat and of course fish. If you are looking to cut out meat completely right away, then I highly recommend eating a simple "Pescatarian" diet which consists of not eating meat (whether red meat or white meat) but allows you to consume fish. Once you get use to allowing your body to enjoy this change, it will get easier for you. Then, you won't even have to think nor worry about the food you eat, as all you have to know is that you don't want to eat anything with a face and/or was once living. If you are looking to start to become a vegetarian and/or vegan, I truly recommend checking out the list of vegetarian/vegan substitutes and looking at the huge list of alternatives. It is a great change. I have been a vegetarian for a long time and I love it. I would never change my eating habits, as I am not only healthy, but happy too. Stato della Città del Vaticano which translates to Vatican City. My inspiration for the "Stato della Città del Vaticano" rustic pizza came from Vatican City's official flag. This is a relatively easy rustic pizza recipe. You want to begin by preparing the dough. When it comes to any kind of rustic pizza, the dough should definitely be homemade. The dough should never be over spiced. It should not be pristine. In fact, it should possess some taste, but not be overcompensated with ingredients. To some that is bland, to many it is perfect. A secret you should know about the way I like making dough is the fact that I don't like to let it set for a minute or even an hour or two hours. I like to let it set for at least 4 hours. Also, depending on the type of pizza or any bread based food or dish I am making, sometimes I like to let it set for a day (depending on yeast). For this particular recipe, however; you just want to let it set for 4 hours. As you continue, you want to preheat the oven for 400 degrees F. Then, after you allow the bread to set, you want to spread it out in a circle shape. If you have a round pizza stone (which I truly recommend purchasing) it makes it easier. Add some Cornmeal to the dough to kind of dust it. This is optional, but I like to do this, as it makes the dough very accessible. For this particular rustic pizza, I am not going to add tomato sauce or even a cheese or alfredo sauce. I am going to use Extra Virgin olive oil. Then you want to begin by adding your cheeses (Mozzarella, Parmasan, Piave, and Caciocavallo), followed by your vegetables (peppers, mushrooms, artichoke hearts, and roasted garlic). You want to top the pizza off with a hint of olive oil followed by parmasan cheese. Place into the oven and bake at 400 degrees F for 18 minutes. Let it set for about 2-3 minutes before serving. Enjoy. This pizza is vegetarian, not vegan. The Mean & Green Smoothie was created for those partaking in the smoothie diet or are on a typical smoothie binge. These individuals who drink nothing, but smoothies and liquids. I actually have tried this and in 2 weeks with Yoga and exercise, I lost a lot of weight, as a result. I created this smoothie simply for those looking for something a little less sweet, but sweet enough. It has a rather acquired taste, but a taste that everyone can enjoy. Although you can add Chia Seeds, I wouldn't recommend it simply because most of the ingredients added are fillers. Chia Seeds do possess a nutritional value that allows you to enjoy them despite the fact they are a filler, so it is entirely up to you. Once the ingredients are added, you want to go ahead and add your soy based product. 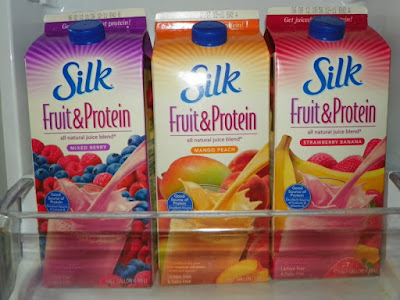 Today, I am going to use Silk's Fruit & Protein (which is a soy based product) in Mixed Berry. Because most green smoothies possess a certain percentage of fruit to balance out the taste, the soy based product that I am using will balance out the taste because it's berry. You want to begin to blend generously. If you add Chia Seeds, don't forget to blend a little longer than usual. Finally, serve in a glass. This mixture is good for three meals. 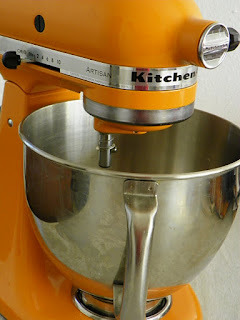 If you love cooking and/or baking, I truly recommend owning a Kitchenaid Mixer. It is one of the best investments one can make, especially if you spend a lot of time in the kitchen, cooking and/or baking. They also have a lot of features. You can also purchase attachments for them, which allow you to create different things. They come in an array of colors. I love several of them, but for some reason, the "Tangerine" catches my attention the most. Green smoothies are simply healthy blended drinks that are created with the use of an array of raw fruits and vegetables. The term "green" usually represents any type of raw (and yes, green) leafy vegetable. To avoid pesticides, it is recommended to use organic fruits and/or vegetables rather than regular, however; pesticides in any produce at the local grocery store are very uncommon. In order to balance any kind of "green" inspired drink, especially the green smoothie, you want to use at least 60-70% fruit and/or vegetable and at least 30-40% green leafy vegetable, as this not only allows you to get the nutrients from the smoothie itself, but tends to balance the actual taste. I have made some smoothies where I didn't balance the ingredients and let me tell you, they were revolting. Once added, blend generously. If you do intend to use Chia Seeds (which is entirely up to you) make sure that you blend the Earth Angel green smoothie a little longer and modestly than you normally would without them. Finally, serve in a glass. Recently, I had the opportunity to create some amazing cupcake recipes. One of the amazing cupcake recipes I had the chance to create was/is definitely "Nutella Frangelico Cocoa". It is a Sarah Afshar original, so enjoy. Combine the eggs, nutella, dark chocolate almond milk, cocoa, vegetable oil, frangelico liqueur, hazelnuts, pecans, walnuts, baking soda, chocolate liqueur, baking powder, vanilla extract, and salt into a mixing bowl. Mixed generously. Once mixed, add the batter to the cupcake cups. Preheat oven for 350 degrees (F that is) and bake the cupcakes anywhere from 20-23 minutes. After baking, let the cupcakes set for about 5 minutes. Remove the cupcakes from cupcake pan and place the cupcakes on a plate. Combine the powdered sugar, cream cheese, butter, vanilla extract, and white chocolate liqueur into a mixing bowl. Mix generously. Once mixed, apply to cupcakes. Garnish with a whole or half of pecan. Then, add some light colored pastel yellow sugar sprinkles. Preheat over for 350 degrees (F, that is). Combine the eggs, water, flour, sugar, brown sugar, marshmallow creme, sour cream, butter, grated lemon peel, lemon extract, lemon juice, vanilla extract, baking soda, baking powder, and salt into a mixing bowl. Mix until blended. Fill empty cupcake cups with batter. Bake cupcakes for 19-22 minutes. After baking, let the cupcakes set for about 5 minutes. Remove the cupcakes from the cupcake pan and place the cupcakes on a plate. Combine the Marshmallow Creme, Powdered Sugar, Vanilla Extract, Butter, and Silk Very Vanilla Soy Milk. Apply to the cupcakes. Slice fresh strawberries and apply them as a garnish to the cupcakes. The cupcakes turned out great. Although the decorating could have been a little better, they were absolutely delicious. Also, when you attempt to make over a hundred cupcakes in one night, simplicity tends to be more embraced. 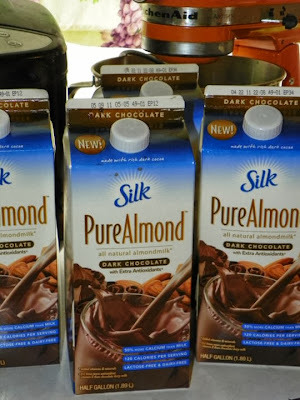 If you are looking to include something healthy, yet delicious in your diet, I highly recommend this incredible addition to Silk. Flavors include: Mixed Berry, Mango Peach, and Strawberry Banana. Please don't ask me what flavor I prefer, as I love them all. It depends soley on what I am in the mood for. Today, it is definitely Mixed Berry. Yesterday, it was Mango Peach. Tomorrow, it is probably going to be Strawberry Banana. This product is still relatively new, so I really do hope that Silk decides to keep it. I truly predict that it will sell amazingly considering it is amazing. If you haven't tried it today, the time is now to visit your nearest grocery store and pick some up. As most of you already know, I am "lacto ovo" vegetarian. In case you are wondering what a "lacto ovo" vegetarian is, it's simply someone that does not eat meat or fish, but does eat dairy, eggs, and honey. If you are trying to distinguish what a "lacto ovo" vegetarian is versas any other type of vegetarian, just think of a lacto ovo as someone who doesn't eat anything with a face or better yet, is or once was living. With all of the numerous alternatives which range from soy and almond milk to rice and even coconut milk, there is nothing that says I should drink dairy milk. With that said, I have decided to give up drinking dairy milk. You are probably thinking "So Sarah, what brought on this sudden urge to change?" Well, I attempted to drink a milkshake the other day at a restaurant and noticed an "after taste". The same "after taste" that I endured when I switched to drinking soy and almond milk from dairy milk. It was almost as if the reverse effect was happening. So, i've decided that giving up dairy milk is a good option for me at that time. Everyone who knows me, also knows how much I love cheese. Now, if only I could give that up, then I could cut dairy out of my life completely and become an "Ovo" vegetarian, which is a vegetarian that does not consume meat or fish or "dairy", but does eat eggs and honey. First and foremost, If you intend to freshly squeeze a lemon to make lemon juice, I would advise that you do that first. Once completed, you want to add that to a glass or whatever container you intend to use. Then, as you continue, you want to add a cup of sugar to the lemon juice. Add the 3 cups of fresh water. Next, once that is accomplished, you can now focus on making your blueberry syrup. You want to take 1 cup of blueberries (whether fresh or frozen) and add them to a blender. If you want your blueberry lemonade to be extra sweet (and there are some people who prefer this), you can purchase the blueberries that are pre-sweetened. Along with the blueberries, you want to add 1 cup of sugar, followed by the blueberry schnapps to the blend. Next, you want to add the blueberry syrup to the lemonade. Because of it's mass, it should definitely mix naturally, but fall to the bottom of the glass and/or container you intend to use. I like to use crushed ice. I am not a fan of regular cubes, but whatever you choose to do is fine. Whatever makes you happy. I am going to crush my ice and then add it to the lemonade glass. Finally, it is time to serve. You want to serve your blueberry lemonade in a glass, with a lemon garnish.